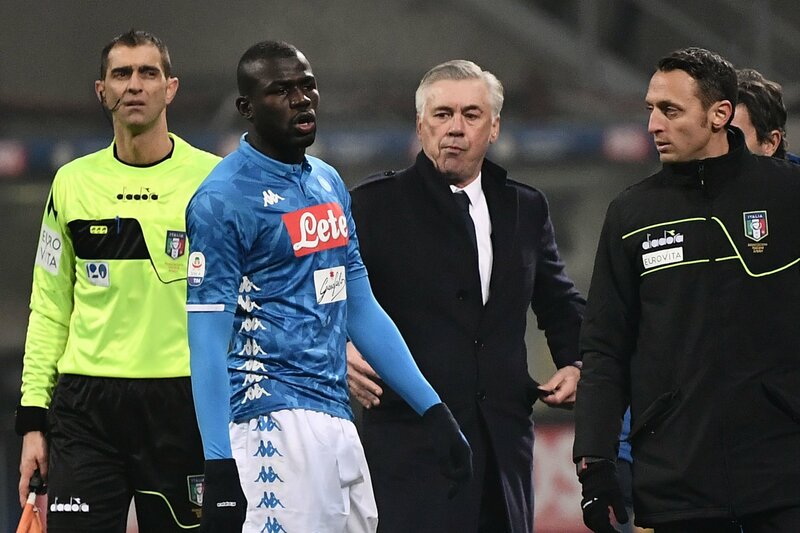 January 21 – The outcry over the treatment of Napoli defender Kalidou Koulibaly intensified over the weekend when Napoli slammed the decision by Italian football authorities to reject his appeal against being sent off despite widespread recognition that he suffered racial abuse. UEFA and the international players’ union FIFPro have both criticised match officials for “failing to respect anti-racism protocol” after monkey chants were directed at Koulibaly throughout his team’s 1-0 Serie A loss at Inter Milan on Boxing Day. Koulibaly was shown two yellow cards in quick succession during the game, the second coming after he sarcastically applauding the referee. “The unacceptable atmosphere created inside the stadium during this match does not justify and cannot be used by an athlete to ridicule the referee or justify an act of violence,” the Italian Football Federation (FIGC) said. As a result he was handed a two-match suspension, the latter of which was Sunday’s fixture at Lazio after the appeal was rejected. Napoli said the federation had “missed a great opportunity” to fight racism and described the decision as a “sad defeat for football”. “Koulibaly, Italian football and the institutions all come out of this degraded. Koulibaly’s ban should have been overturned regardless of the rules and the bureaucracy. All this does is kill football, because football is, above all, a passion that unites billions of people around the world and it should not be derided like this. Following the incident Inter Milan were ordered to play two home league games behind closed doors. “A battle that UEFA has been fighting for years – and which Napoli has always supported – has thus been degraded,” Napoli’s hard-hitting statement continued.